Due to high demand, we unfortunately already ran out of the free Gyeon Cure samples. Stay tuned for more sample giveaways in the future! Spray sealants are a growing category of paint protection, and for good reason. These products make it exceptionally quick and easy to add a layer of protection to your vehicle without much time or effort. Once you finish reading this article we also have a limited quantity sample offer below. This category of paint protection has evolved more with the rapid growth of the paint coating industry, as many of them are made to work in unison with a nano coating as a “coating topper”. 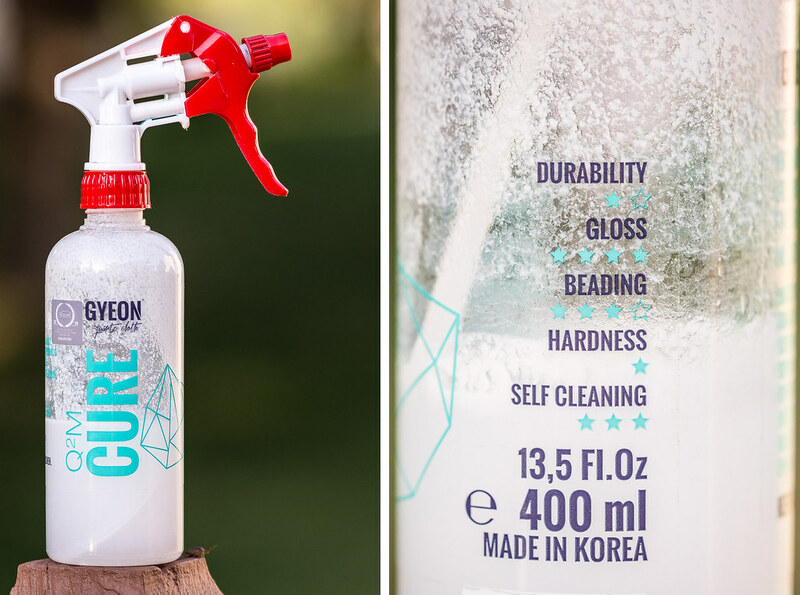 I have been using spray sealants for years on my personal vehicles as well as customer vehicles to keep them looking their best in between major details, so when DI picked up the Gyeon product line, I wanted to get my hands on Cure to put it to the test. Gyeon Cure is a silica based Spray Sealant that works great in harmony with Gyeon Paint Coatings, or other nano coatings. It can be used on a wet or dry surface to help enhance your vehicle’s finish, add some protection, boost the gloss, and repel water. I prefer to use Gyeon Cure on a damp vehicle, immediately after washing. After performing the final rinse, I spray 1-2 sprays of Cure directly onto a panel and then immediately dry the area. In my experience, this leads to a slicker surface that is easy to dry with my Griot’s Garage PFM Drying Towels. Cure enhances the gloss, leaving a gorgeous shine, and the water beading is exceptional. Water flies off the surface. When used on a dry surface, I find it is easiest to spray the product directly onto a plush microfiber towel like the Double Thick Edgeless Towel, and then wipe it onto the paint. Use a 2nd towel to remove any remaining product residue. Gyeon lists a durability of up to 8 weeks for this product. I have seen the hydrophobic properties last this long, however I would recommend using this product a bit more frequently than that if you wish to maximize your protection. I tend to alternate between using a basic quick detail spray and spray sealant as a drying aid, and I make sure to use a spray sealant after washing about every month or so. Under inspection lighting, I have seen some light smearing when using Cure. It is more easily visible on darker vehicles and when applied to a dry panel. This smearing looks like a thin oily residue on the surface that most people would likely overlook as it isn’t easily visible in typical lighting conditions, however it is worth noting as this is something that I have encountered with nearly every product I have tested in this category and over the years, and also several quick detail sprays. This light residue does eventually go away, but it can be annoying for some people, especially if you find yourself making a lap around your car with an inspection light after every wash. Also, make sure you shake the product very well prior to using it as it will separate when left to sit in between uses. The clear bottle allows you to see the fluid separation and should remind you to give it a good shake before using it. From the first time I had used Gyeon cure, it had felt very familiar to me. One of the very first things I noticed about the product was the scent. It reminded me of CarPro Reload. The more I continued to use Cure, the more it reminded me of the original Reload. The application, slickness, hydrophobic properties, scent, gloss, and even the appearance of the product itself all reminded me of CarPro Reload. This is certainly not a bad thing as Reload had previously been my go-to coating topper. In the end, I have enjoyed using Gyeon Cure. I feel it works well as a gloss enhancing, hydrophobic booster to a coated vehicle. It is a bit more expensive than similar products such as CarPro Reload and Gtechniq C2 V3, but it is in the general ballpark. If you’ve got a Gyeon coated vehicle, or are just looking to try out a new spray sealant, consider trying Gyeon Cure. Great write up Zach. I used this last weekend on my coated car and I to enjoyed using it. Left the paint slick and glossy. Can I spray this over any sealant? Yes, it should work just fine on top of an existing sealant. It may not be as durable since this was developed for use on coated vehicles, however you should still see good results. Thanks for this review. I am not sure why one would use this instead of a quality synthetic detail spray. It appears to be simply a very expensive version of normal detail spray. Also, must it be applied only to surfaces that have ceramic coated, or can it be used on paint that is waxed or sealed with conventional products? Hi Jim – products like Cure are a bit different than traditional sealants. Cure, and other “coating toppers” such as CarPro Reload, 22ple VS1, and GTechniq C2 are all silica based sealants which means they behave very similarly to silica based coatings, however since the silica content is very low in these spray on sealants, the durability is nothing like what we see with a true coating. The benefit to these spray on silica sealants is the incredibly easy application, awesome hydrophobic properties, and great protection. As I mentioned in a comment above, this can certainly be used on uncoated vehicles as well, including those that may have a wax or sealant already applied to them. Hola Zach, gracias por la revisión!! ¿Como afecta el limpiar la superficie con Car Pro Eraser o similar sobre una capa de Cure o Reload aplicada hace un mes?Lo digo porque siempre es conveniente limpiar los residuos de jabon aunque sea con ph neutro como es el caso de éstas marcas.En conclusión, ¿quitaría el limpiador la capa de sílice? CarPro Eraser is not needed prior to applying Cure (or Reload) on top of a coated vehicle. Use a shampoo like CarPro Reset to ensure you are not leaving behind any gloss enhancers, waxes, etc. while washing and then apply the spray sealant of your choice. For maximum protection, I would recommend coating your vehicle with a couple layers of a nanocoating (such as GTechniq Crystal Serum Light, Gyeon Cure, CarPro CQuartz, etc.) and then using a silica based spray sealant such as Gyeon Cure for additional protection after washing. Hi Zach, thanks for this review. I have a 911 which was coated when new with Ceramic Pro. It’s only a couple of months old so the coating is still like new. Would this be a suitable product to help maintain it? There is a Ceramic Pro maintenance spray but it’s crazy expensive and availability is limited. I’m impressed by what I read about the Gyeon products. Thank you! Hey Bryan – Absolutely. 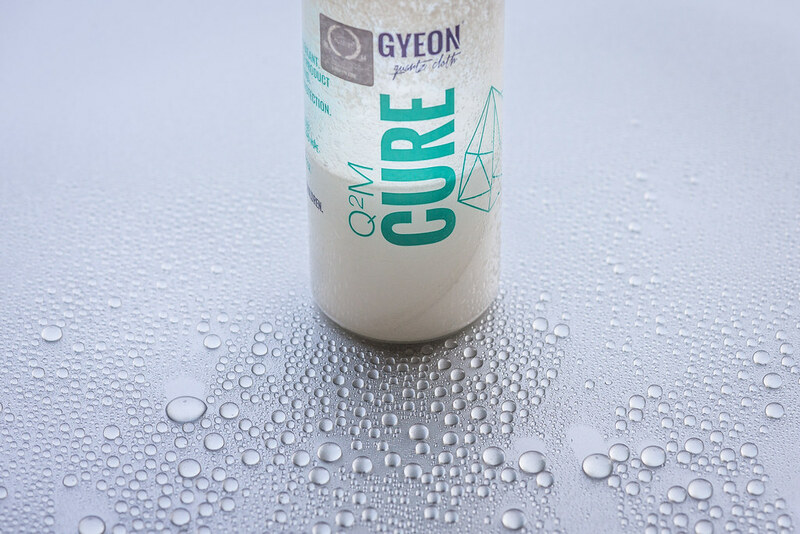 Gyeon Cure should work very nicely for you. Thank you sir! I’ll buy some as soon as my other brand runs out. Hi Caren – the application of Cure is actually an optional step in my opinion. 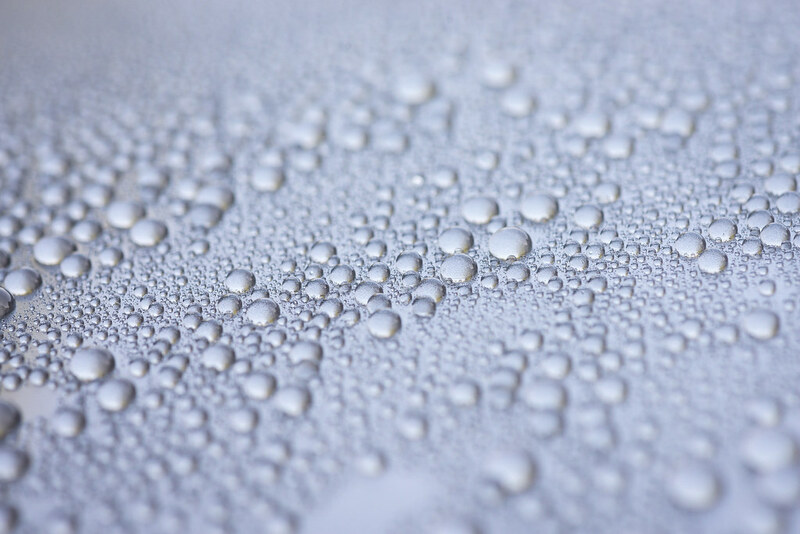 Gyeon Cure will help to provide additional protection on top of the coating to help minimize the risks of water spotting and staining on the freshly applied coating. It is a good idea to keep the vehicle in the garage and away from the elements for at least 24 hours after coating, but if your weather is good, you can certainly wait longer than 12-24 hours to apply cure. Thank you Zach. The car is garaged & I am a Weekend Warrior hence, my question. Will a week’s worth of dust make applying the Cure difficult or should I dust the car first? It depends, so use your personal judgement. If there is substantial dust after a week or so of sitting in the garage, I would probably use plush towel with a light mist of waterless wash or quick detail spray to remove the dust before applying Cure. If there is just light dust, no bother, just apply cure using a plush towel and you should be good to go.